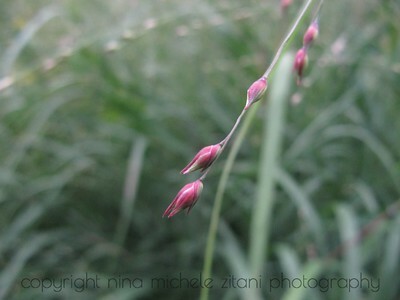 The minute flower buds of a tall native grass commonly called switchgrass ("Panicum virgatum", family Poaceae). 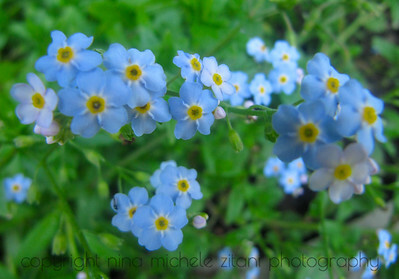 I picked the early spring flowers in my garden and photographed them in my studio. 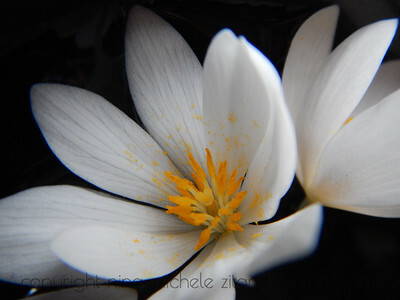 "Sanguinaria canadensis", commonly called bloodroot (family Papaveraceae). 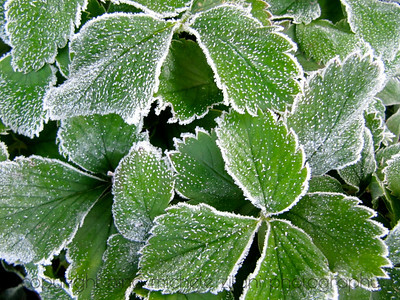 Frost on the foliage of native Virginia strawberry, "Fragaria virginiana", in the rose family (Rosaceae). 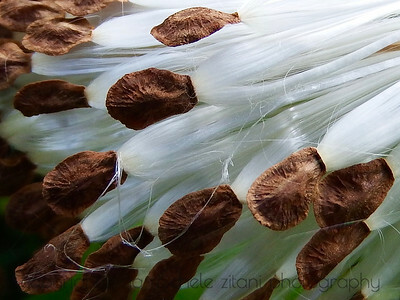 The complex flowers of common milkweed, the larval food plant of the monarch butterfly. These beautiful flowers also have an amazing fragrance. 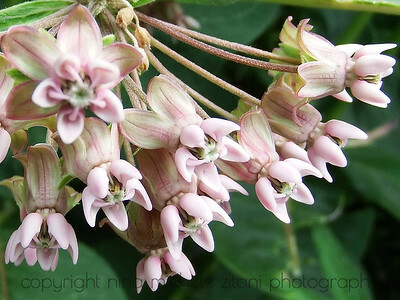 "Asclepias syriaca", Family Apocynaceae (dogbane or milkweed family). 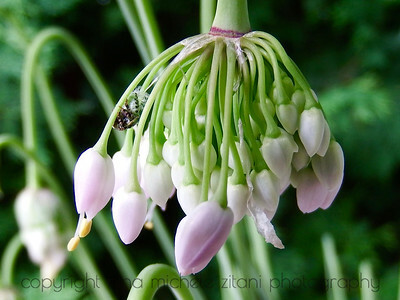 The flower buds of nodding onion, a rare plant in Ontario, and a hemipterous insect. Plant: "Allium cernuum", family Amaryllidaceae (amaryllis family), subfamily Allioideae (onion subfamily). 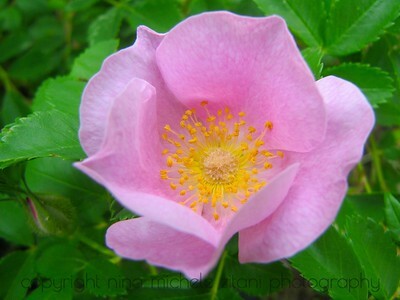 A native rose, "Rosa carolina" (family Rosacea), frequently visited by bumble bees. 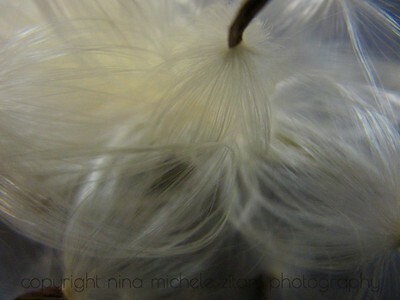 The wind-dispersed seeds of common milkweed, larval food plant of the monarch butterfly. The coma is beginning to open up, producing lift ("Asclepias syriaca", family Apocynaceae, dogbane or milkweed family). After pollination the petals drop off and the sepals and stamens persist a bit longer. 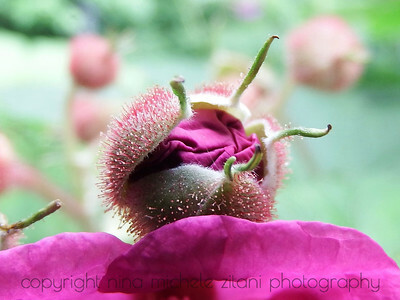 The flowers are in the process of developing into fruits. 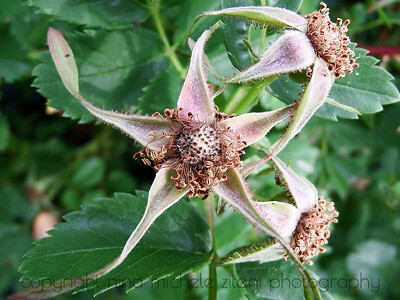 "Rosa carolina", family Rosaceae. 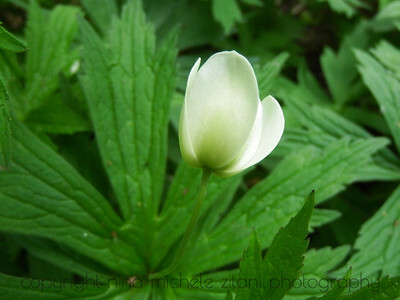 "Anemone canadensis" in the buttercup family, Ranunculaceae. 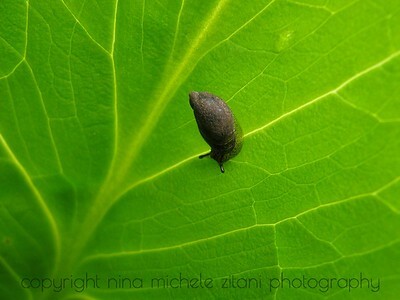 A rose bud of a native kind. July. "Rubus odoratus", commonly called flowering raspberry, in the rose family (Rosacea). 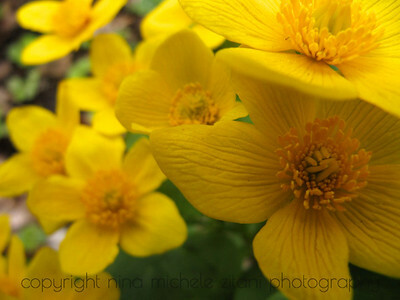 "Caltha palustris" commonly called yellow marsh marigold, another wetland indicator species. Family Ranunculaceae (buttercup family). 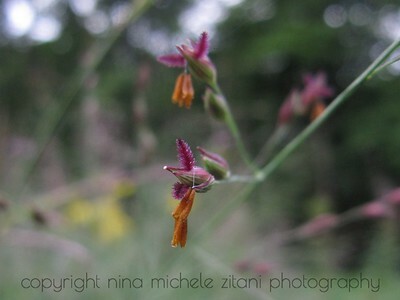 The minuscule flowers of switchgrass. 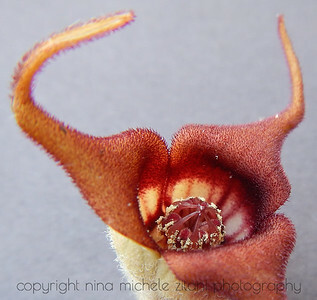 The magenta-colored, feathery structures are the stigmas (female reproductive structures that receive pollen) and the orange-colored pendant structures are the male stamens. 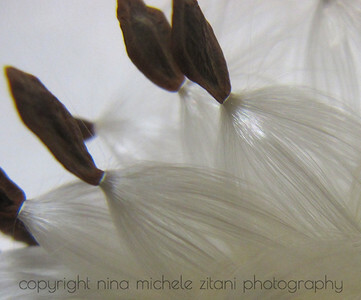 Feathery stigmas are typical of grasses ("Panicum virgatum", family Poaceae). 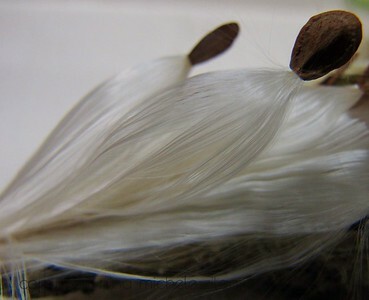 The wind-dispersed seeds of common milkweed, larval food plant of the monarch butterfly ("Asclepias syriaca", family Apocynaceae, dogbane or milkweed family). Native Hibiscus, commonly called swamp rose mallow ("Hibiscus moscheutos", family Malvaceae). 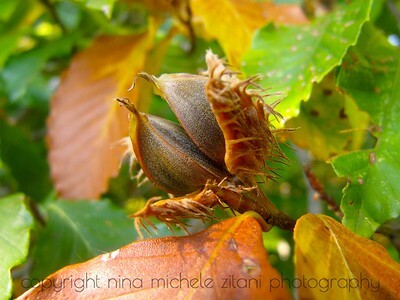 In early October beech tree fruits open to reveal the seeds (beechnuts). American beech, "Fagus grandifolia", family Fagaceae, beech family. Ninebark is another beautiful native rose that pollinators of all sorts love. 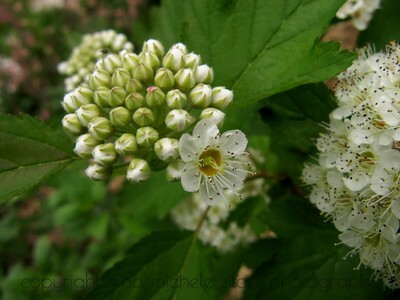 Grows as a shrub, "Physocarpus opulifolius" (family Rosaceae). A pretty petal to us, a nectar guide for insects. The shape and colors are a landing strip and guide that directs the insect to the floral resources. 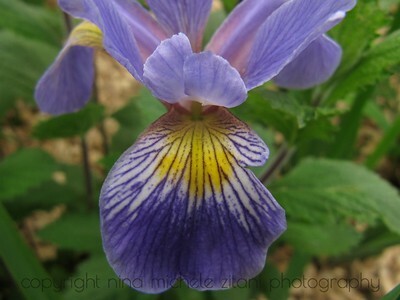 Blue flag iris ("Iris versicolor", family Iridaceae). 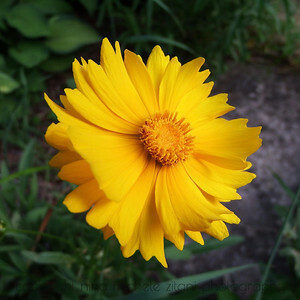 "Coreopsis lanceolata", commonly called lanceleaf coreopsis, in the daisy family (Asteraceae). 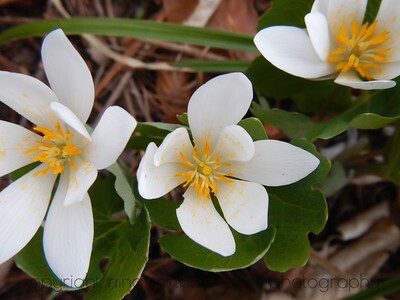 Field shot of bloodroot in late April ("Sanguinaria canadensis", family Papaveraceae).